BionicM is out to disrupt the prosthesis industry. Most of us probably weren’t aware prosthetic legs were ripe for disruption in the first place, but after seeing beautifully-crafted and highly-functional prosthesis from the team out of JSK robotics lab at the University of Tokyo, it’s clear BionicM is on to something. SXSW organizers seem to agree, as the company is up for an Innovation Award for its technology. 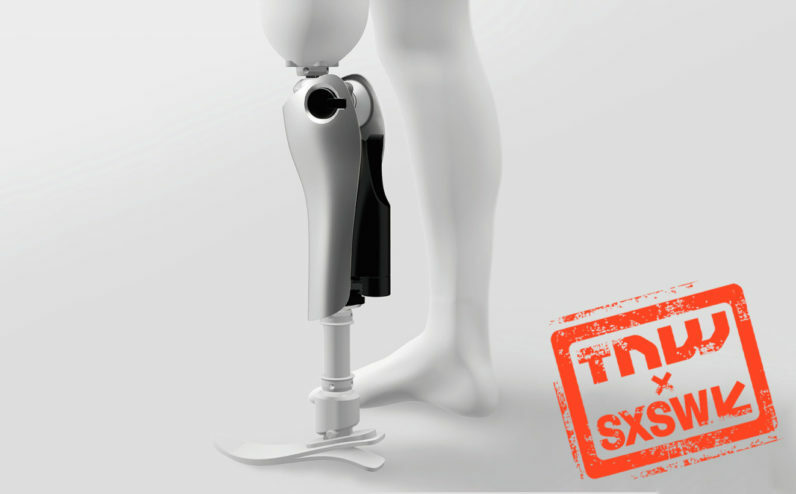 BionicM is a project designed to improve prosthesis. In particular, prosthesis for amputees who lost mobility due to surgical removal of limbs above a joint. For example, adding a prosthetic leg below the knee restores a lot of the mobility lost due to the amputation. For those that have amputations above the joint — the knee, in this case — that mobility is mostly gone forever due to fairly rigid prosthesis. It’s a problem for everyone but simple tasks like climbing stairs or standing after sitting are particularly difficult for the injured or elderly. BionicM designed a prosthetic leg that restores some of the mobility lost when surgeons remove the leg, and the knee. It adds a highly technical joint to act as the knew knee, and reduces motion required to do things most of us take for granted, like stand up or climb stairs. This type of research gets us a step closer to being cyborgs! Okay, not really. What’s cool about these sorts of forward-thinking projects is it maximizes human potential even after injury. At some point, as technology continues to advance, it’ll lead to a world where major setbacks (like amputation) are no longer a dramatically life-altering experience for those affected. In fact, it could just lead to building faster, stronger, and more mobile versions of our typical selves. We’re not quite there yet, but it’s easy to see the progression of this type of technology over time. There’s no release date on the horizon. Currently, BionicM’s amazing new leg is just a working prototype being used to prove the technology on actual amputees.